Located in Richmond, Oxford Court Motel is in the suburbs, within a 5-minute drive of Richmond Mall and Fossil Ridge Winery. This apartment is 2.9 mi (4.6 km) from McCashin's Brewery and 3.1 mi (4.9 km) from Hoglund Art Glass. Make yourself at home in one of the 12 guestrooms, featuring kitchens with refrigerators and microwaves. 32-inch LCD televisions with satellite programming provide entertainment, while complimentary wireless Internet access keeps you connected. Conveniences include electric kettles and free tea bags/instant coffee, and housekeeping is provided daily. Enjoy recreation amenities such as an outdoor pool or take in the view from a garden. This apartment also features complimentary wireless Internet access, tour/ticket assistance, and a picnic area. Continental breakfasts are available for a fee. Featured amenities include a 24-hour front desk, luggage storage, and laundry facilities. A roundtrip airport shuttle is complimentary (available on request). When would you like to stay at Oxford Court Motel ? To make arrangements for check-in please contact the property ahead of time using the information on the booking confirmation. Airport shuttle service is available on request during limited hours. Fees may apply. Contact the property in advance to make arrangements. Please note it is the responsibility of the hotel chain and/or the individual property to ensure the accuracy of the photos displayed. Hotel.com.au is not responsible for any inaccuracies in the photos. Each day we'll check prices and send you an email for your selected dates at Oxford Court Motel. If you don't have specific dates but would like to check prices for say next weekend or say next month we can check the price too. 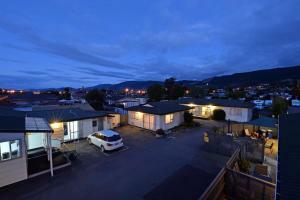 Click to write a review and share your experience of Oxford Court Motel with other travellers.